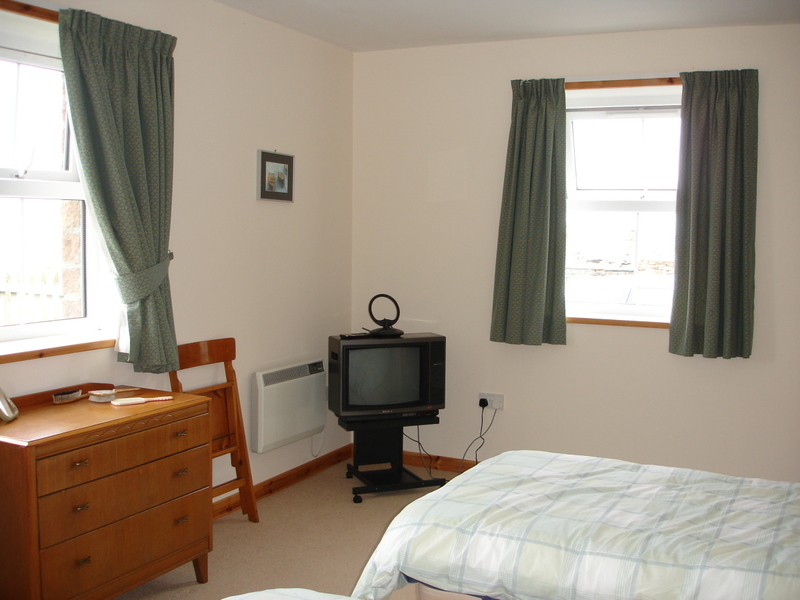 Self-catering cottage on the island of Eday, Orkney. 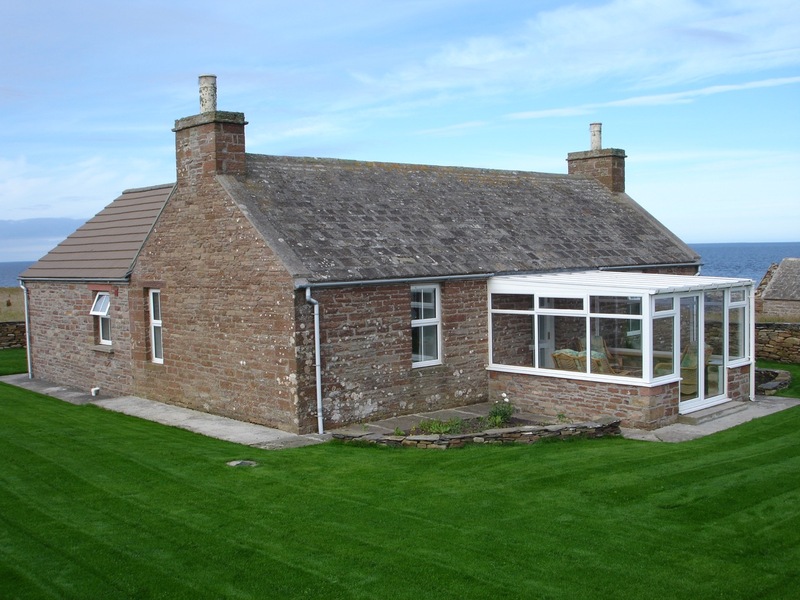 Sties is a two bedroom cottage in a secluded location at the end of its own private road on Eday, one of Orkney's North Isles, with panoramic views across neighbouring islands. The original house, built of traditional red sandstone, has been extended to preserve its character, while fully modernising the facilities on offer. WiFi is also available. Sties is 150 yards from the shore and has its own working “noust” for a fishing yole. 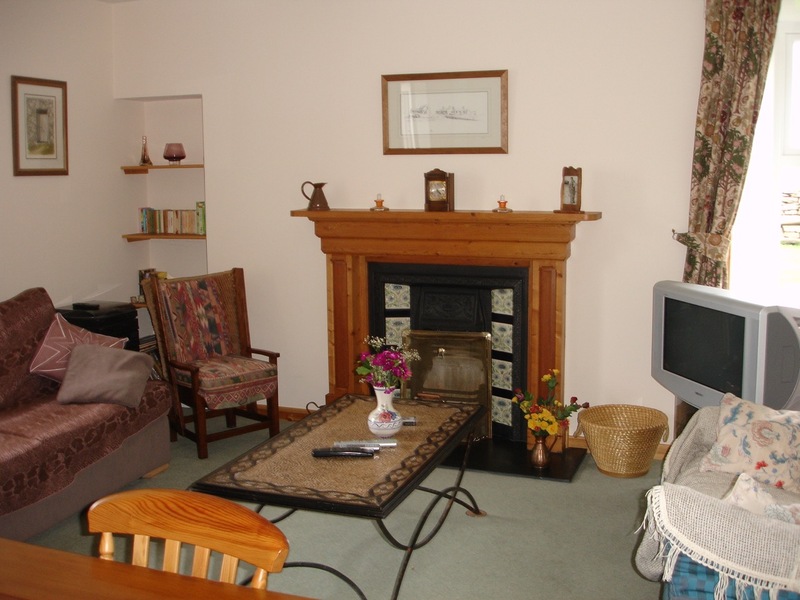 Open plan with the kitchen/dining area centred around a traditional fireplace. Well equipped with a full range of applicances and utensils. 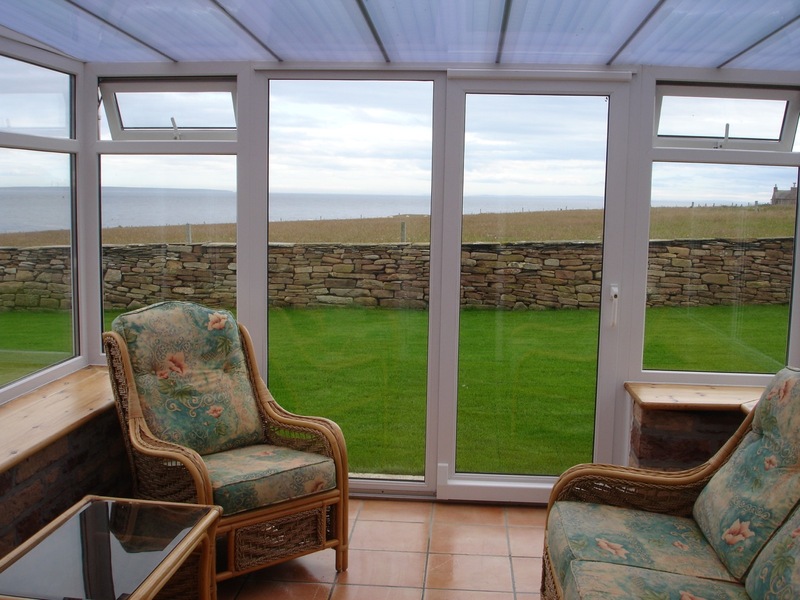 Enjoys views excellent over neighbouring islands to the south and east. Relax here and watch the boats go by. 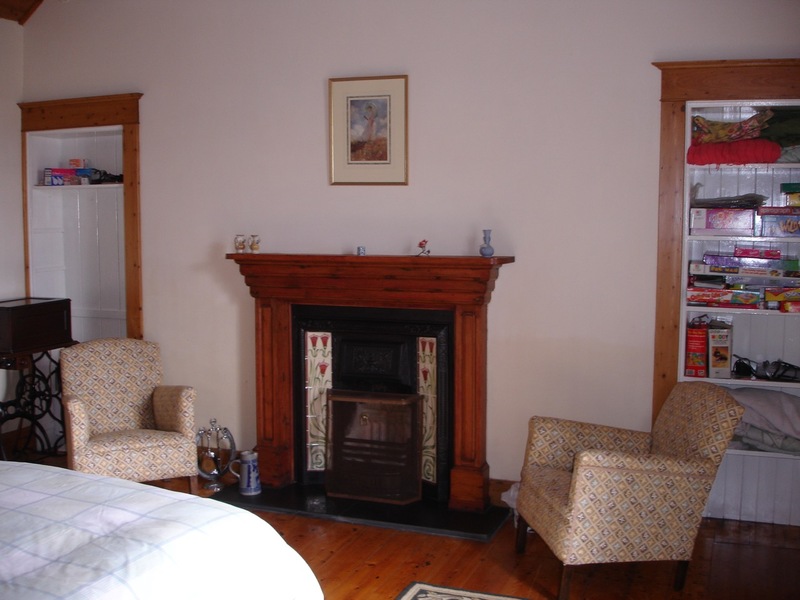 In the original part of the cottage with fireplace, traditional furniture and a queen-sized bed. 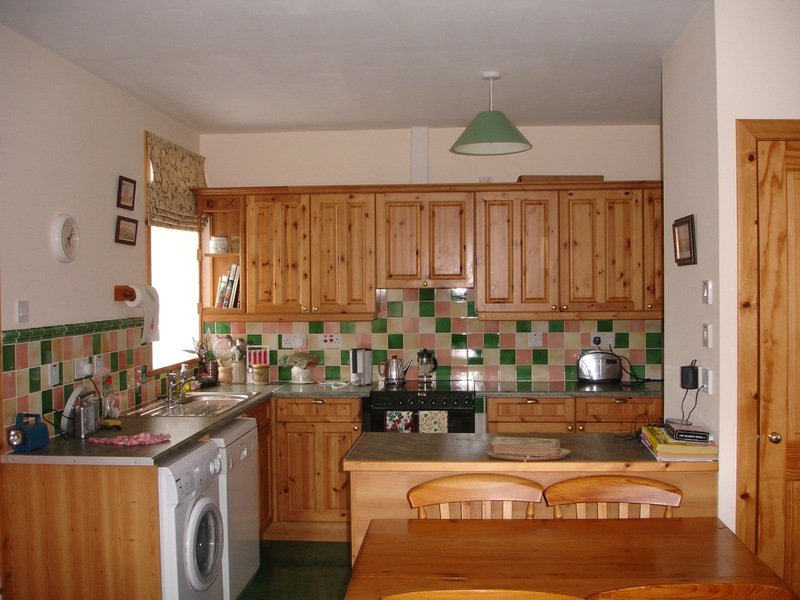 In a modern style and has a double bed and a single bed. With bath and separate shower unit. Eday is at the heart of Orkney's North Isles with plenty of attractions for visitors. As with much of Orkney, Eday boasts a great collection of archaelogical sites. The two most notable are the Stone of Setter, the tallest single megalith in Orkney, and the Neolithic Chambered Cairn on Vinquoy hill which commands magnificent views over the Orcadian archipelago. Eday has much to offer birdwatchers, including an array of seabirds. Other birds, such as the Red Throated Diver and the Short-Eared Owl, are relatively common. Guided tours can be arranged with the Eday Ranger. For more information see VisitEday. You can get to Eday by ferry from Kirkwall on the Orkney Mainland. The Eday ferry terminal is about 2 mins drive from Sties or 10 mins walk. The service is usually direct, but may go via Sanday or Stronsay. For more details and timetables visit Orkney Ferries. There is a limited air service to Eday from Kirkwall airport. Flight time is around 10 minutes. See LOGANAIR for more details. © J Cormack. All rights reserved.